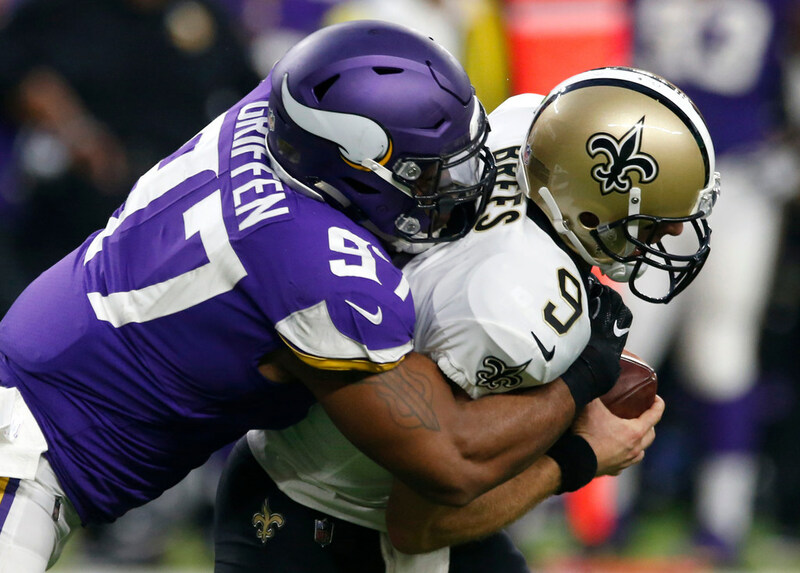 Defensive end Everson Griffen pointed to defenses of Mike Zimmer’s past coaching jobs as examples of why a “dominant” three-technique defensive tackle is needed. The Vikings’ pass rush didn’t produce the way Mike Zimmer wanted at the end of a 14-win season, including the first playoff win since 2009. There were many reasons. Everson Griffen’s “completely” torn plantar fascia suffered in Week 8 is one. A lack of pass rush up the middle is another. Griffen, speaking to reporters Tuesday from the Vikings’ new Eagan headquarters, expects both problems to be in the past in 2018. Griffen had 10 sacks in eight games before the injury. He finished the year with a career-high 14 sacks in 17 games. Now he said the injury is behind him as Vikings players participated Tuesday in offseason workouts. The Vikings needed a full-time defensive tackle next to Linval Joseph, so they signed Sheldon Richardson to a one-year, $8 million contract in March. With some refining, Richardson can free up Griffen to make more plays off the edge. Griffen pointed to defenses of Mike Zimmer’s past coaching jobs as examples of why a “dominant” three-technique defensive tackle is needed in the system.